I am so very proud! You have each and everyone of you conquered and exceeded your fears and believed in yourselves that you can complete a ski marathon race! You have worked really hard with blood, sweat and tears of pain and joy to exceed yourselves! With only 3 months preparation – we made it together!! 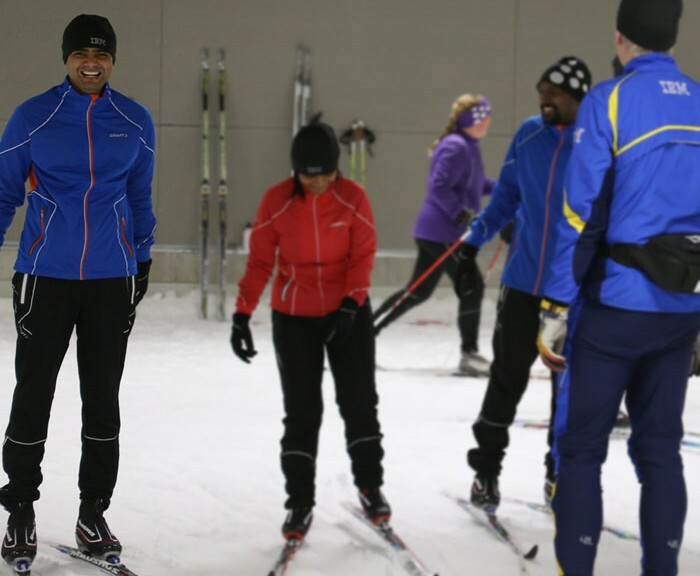 Some of you have rarely exercised before, and now – these months, you have worked up good stamina to ski with speed – “like the Swedes” as you say! We started with SATS core sessions, indoors a couple of weeks, to get the body ready for moving on skis. We went across the country to Gothenburg SkiDome where you had your first experience putting your skies on, and trying out snow indoors! We went plenty of times skiing in Stockholm area, at Täby Konstsnöspår, Stadion and Granåsen – Bålsta. We went on two long week-end Ski Camps to Långberget and Orsa Grönklitt. Accumulating it all together, between December and March, you skied the distance from Stockholm to Hamburg – that is 950 km of preparation!!! 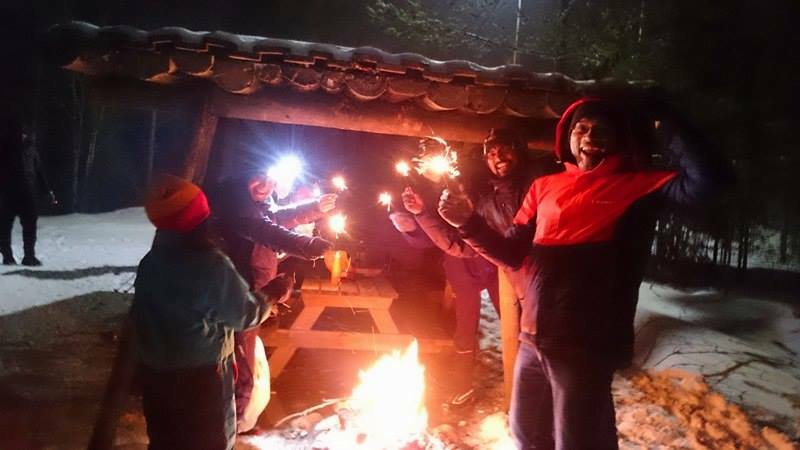 Manjunath (leg 1) and Sorin (leg 2) woke up at 4:00 AM (!) in the morning together with Micke, Emma and myself. We stayed att Hotel Dalecarlia in Tällberg about 1 hour from Mora. We ate breakfast together and I saw you off. Emma loading up her car with Manju, Sorin, Micke and ski gear! The start was around 9:00. There was one minor detail that was very important, to place the chip that registers time down on the ankle. There were some nerves playing part and when the start sparked off, little did we know Manju had his chip in his pocket! Everybody with the Vasaloppet App installed saw no time elapsing for Diversity Race! I got worried! I know Manju! He is a fighter, very responsible and one of the best you meet along path of life. I knew he was fighting among 2000 other participants going uphill 3 km – straight up the hill! BUT! I had to call him, to tell him he had to turn around, go back to the start, to get the chip registered!! 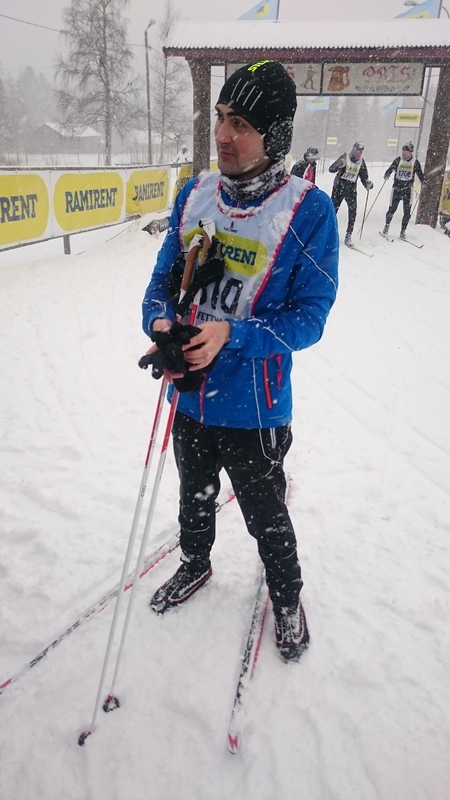 Sorin completed leg 2 with 5:56/km in very heavy snow fall! Next breakfast for me, was about 8:30. I met up with Madhumita (leg 3), Sanjog (leg 4) and Bakki (leg 5), and Sabari would take them to Mora to join Carl and Martin. Our awsome reserves Prasad, Prabakhara and Rajat were all there waiting to join. 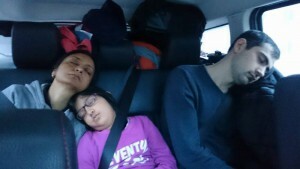 I took the family members in my car. 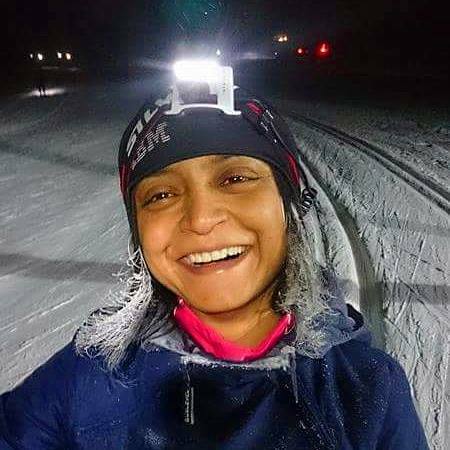 It was time to go to Evertsberg and get Madhumita prepared for leg 3. We were there in good time. It was snowing heavily… worst conditions possible! We followed you all through the race, cheering you on in every checkpoint. IBMs checkpoint at leg 5 was a true party with Bruce Springsteen loud in the speaker and cheering the contestants on! We finally met up at the finish line, waiting for Bakki! We waited, and waited. When the time said 11 hours and 30 min we spotted him with a headlamp far, far away! We all jumped the finish line area, jumped up and down, hollering “Bakki, Bakki, Bakki” and ran to greet him! Champagne squirted! We had made it! We had worked hard together for so long! We were a team! The greatest team of Stars! Thank you all! You are our Stars!! Mission completed!! We made it!! A phenomenal journey reached its climax on the 4th of March… a journey which started with a slightly whacky idea at first – to collect a bunch of unconnected nerds, who have at best seen snow a few times in their lives and have them compete in one of the most challenging ski races in the world. Thanks to our leader Bente Acking – who relentlessly managed and motivated us (am sure I wasn’t the only one who thought her optimism and faith in us were totally unfounded initially), coaches Mikael and Emma (what were these guys thinking – trying to teach us grown ups skiing and cardio training ?? ), our sponsors Jonas Pergament, Sabarinath Venugopalan (they had another one of their boring dreams one day – sending humans to Mars, finding life elsewhere in the universe, teaching us skiing…), our motivators and guides Martin, Carl (snails began to sprint when they spoke, but with us – how frustrating it must’ve been!!) and all our hundreds of well wishers, our families and friends, who suppressed their amusement (they never did laugh at us once) and sincerely hoped for a miracle. Heartfelt thanks to my teammates Madhu, Bakki, Sorin, Sanjog, Rajat, Prabhakar, Prasad, Kay Kay – who constantly encouraged me and egged me to do better (as you know, I was the laziest and had put in the least amount of miles in training). So proud to have played a small part in the success of this endeavor. Together as a team we did it – leaving behind a lifetime of unbreakable bonds and unforgettable memories. 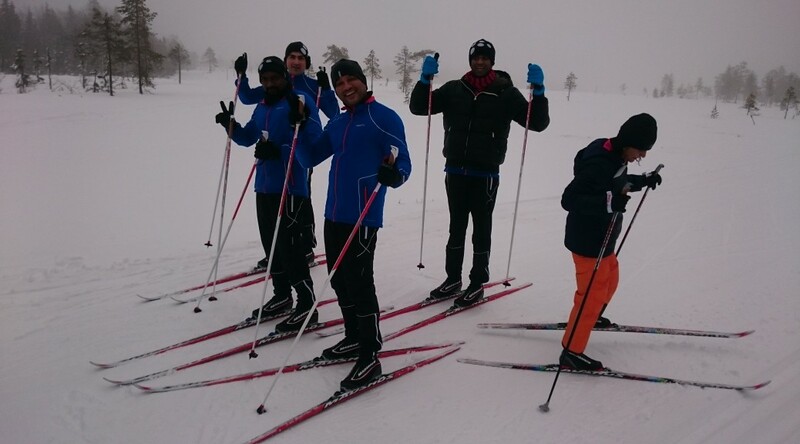 The team went to Grönklitt for a third Ski Camp. 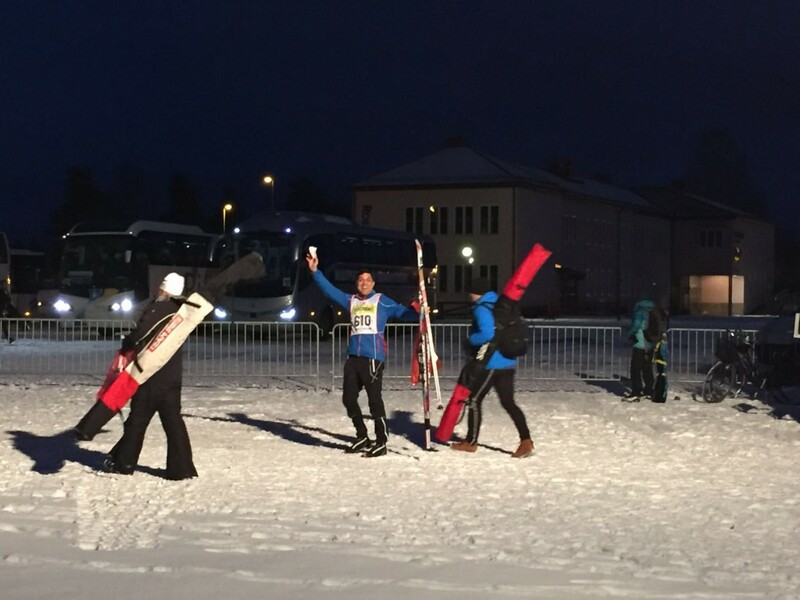 Together they skied 267 km! Wow! What a long week-end we’ve had!! We booked a big cabin on top of the Grönklitt mountain. Some came by train to Orsa, some by car. The first night, after shopping all groceries, Bente took us down the mountain to the tracks. It was dark, quite cold (-6 degrees), and headlamps were on our heads. Anna Toll (Bentes friend from the soccer days) joined us as ski instructor this ski camp. Anna is one of the greatest athletes! 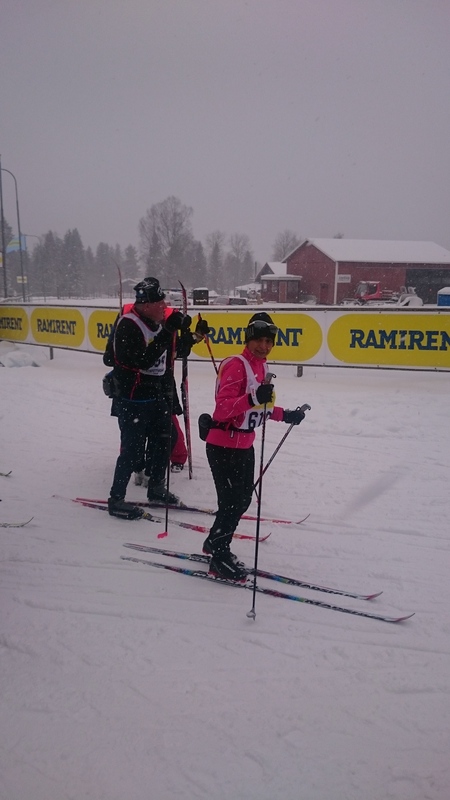 She had been in Grönklitt the week before, skiing a marathon 42 km in 3 hours!! She was so commited and attentive to everybody, skiing back and forth helping and guiding everyone. She lifted the whole team and contributed with lots of energy and good vibes! Thank you Anna! The first night we had one broken pole and one unfortunate injury. The first track we skied was very technical, and dark! Next morning, after breakfast we went down the mountain to meet the photographer from Photomic. She shot some good shots and thereafter we went skiing long distance (20 km). We gathered for lunch at the cabin, rested a bit, and went down to the tracks again to ski another long distance session (20 km). This evening the rest of the team joined us and we were 11 people sharing a cabin for 12 people. Yes, there was alot of food to cook! One of the planned participants, has a late cancellation due to being ill.
Saturday morning we got up early, and were out in the tracks playing around some, to get more comfortable with our skies. We skied without tracks and jumped around, running up the slopes, breaking downhill etc. Thereafter long distance skiing, and it started to snow heavily! We went for lunch at the cabin. After lunch we split up. Some went long distance skiing, some went down to Orsa to get groceries, a knife and wood for the open fire activity planned for the evening. We gathered and started carrying 2 20 kg bags, and 20 kg of wood for 3 km. The snowing had turned into a snowstorm and it was about 20 cm new snow. The tracks were now barely visible due to all the snow, and the wind picked up! We decided it was not going to stop us! And we went for it! The destination was a beautiful shed with a fireplace overlooking the lake. We put all the wood and charcoal in a big pile, and poured lighter fluid all over it! The wind blew out about every match stick, but finally we got it going! We had hot dogs, sweet potatoe, bananas with chocolate and marsmallows. Next morning, Sunday, we cleaned out the cabin as a team, checked out, and some went back home, and some went skiing another 20 km! 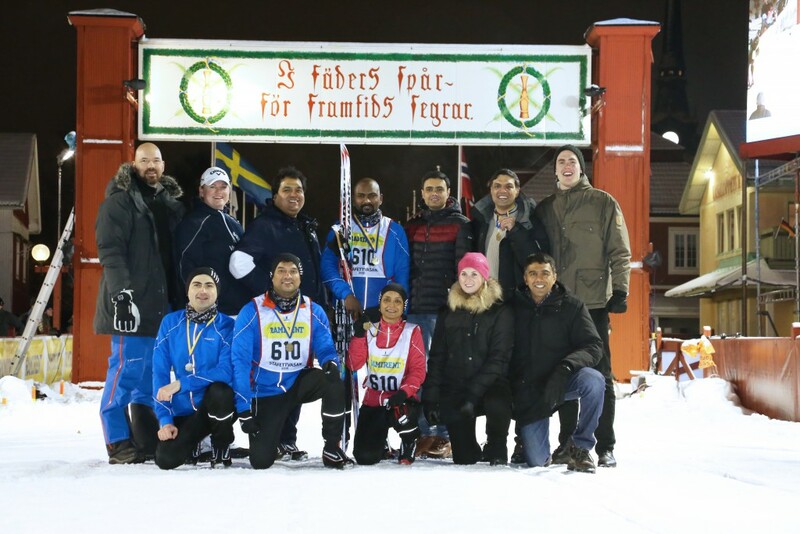 The team skied in total 267 km! We are now all prepared for Stafettvasan 4th March!! 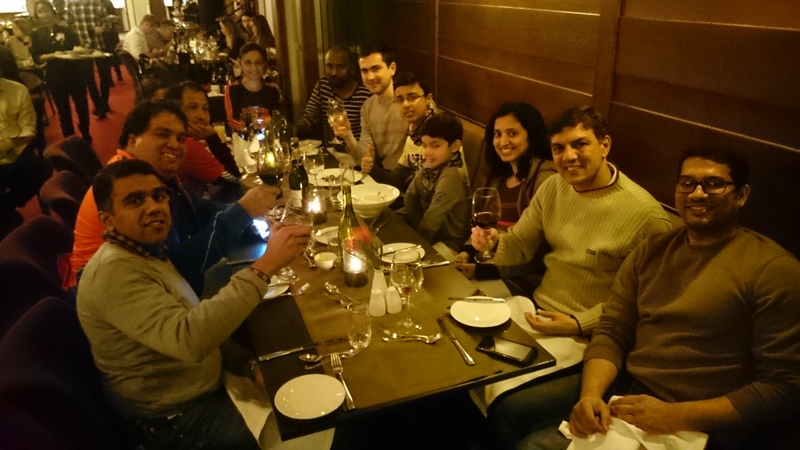 In January and February we met up 8 times to ski in Stockholm. 1 time in Stockholm Stadion, 6 times at Täby Konstsnöspår and 1 time at Granåsen, Bålsta. We went to Långberget for our second Ski Camp. 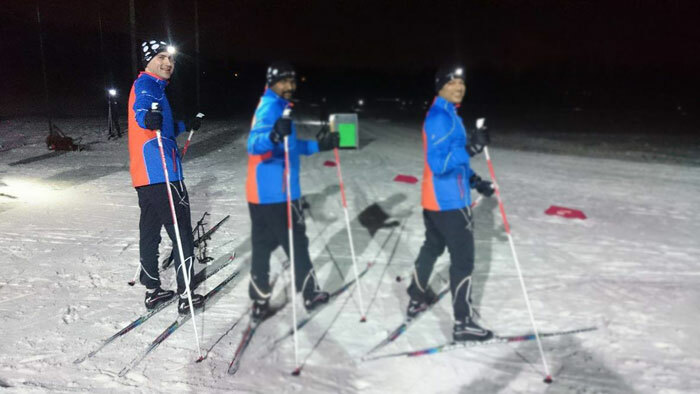 Together the team skied 293 km! Hello from the mountain top! Yesterday Bente picked us up in Alvik, Stockholm with a mini-buss! We had a great trip up north to the mountain Långberget. We checked in and got settled in our cabins. Today, after breakfast, we all gathered at 09:00 at the stadium as Kelly from IBM was our ski instructor for the morning. We got to practise going downhill, and when the rest of IBM left, we kept on practising, so we would feel confident in the slopes ahead. This morning we skied 7 km before lunch and then the wind picked up, so it’s now mixed snow and rain blowing sideways. A good time to take a break and eat! 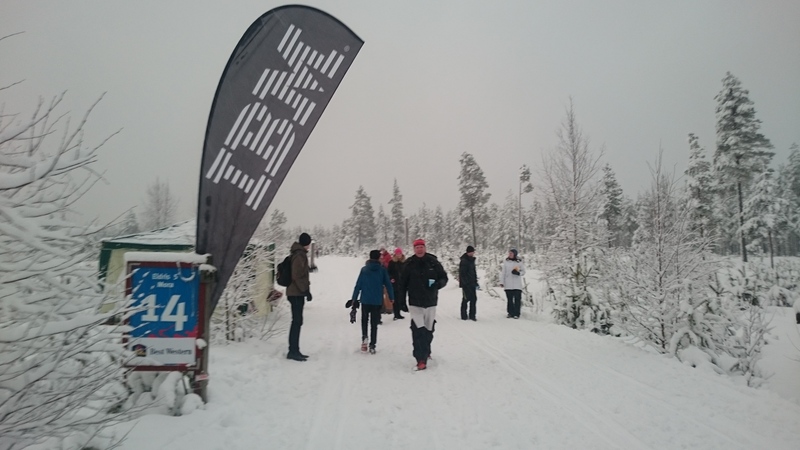 When I first heard about Vasaloppet and the IBM Diversity Race initiative I wasn’t sure what to expect, as I had never skied before, but I decided to follow my gut feeling and jumped at the chance to participate. This has proven to be one of the best decision I took recently. Not only did I get to experience a ton of new and exciting things, but I am really enjoying the team spirit and the opportunities for new friendships that naturally follow from such endeavors which promote close collaboration and support. My journey started, simple enough, with crossfit training sessions along with my team, to get our stamina up while we waited for colder weather and snow to finally reach Stockholm. This was my first opportunity to meet all the team members and we really helped each other to keep focused and push ourselves a bit further each time. I quickly re-discovered the strength of being part of a team and the positive effect this has on your motivation to move forward at times when, otherwise, you would just give up if facing the challenge alone. Starting serious physical activity after a pretty long break was rough, but I managed to pull through, and after two months following an intense training schedule I was in a completely different position that where I started. I was finally ready to start skiing ! Gothenburg’s SkiDome facility was my first encounter with a skiing track and the place where, I am happy to say, I learned to ski. Over one weekend I went from not being able to stand on my skies to racing against other team members. To be honest, I never expected to make this much progress in so little time, but I was having so much fun that I did not let the lack of experience stand in my way. I felt the same joy as when I was little kid and went out playing in the snow all day during winter. You never think of of being tired or sore, all that matters is the moment and how much fun you’re having, and I was having plenty ! One pleasant unexpected experience was the curiosity showed by locals we met at SkiDome, many Vasaloppet veterans, who took the opportunity to offer advice and encouragement for our Stafettvasan participation. This is why I love sports, since it allows people to bond over something they like no matter what background they have. After our Gothenburg experience we resumed our crossfit training and were lucky to finally get snow around Stockholm starting with the arrival of the new year. 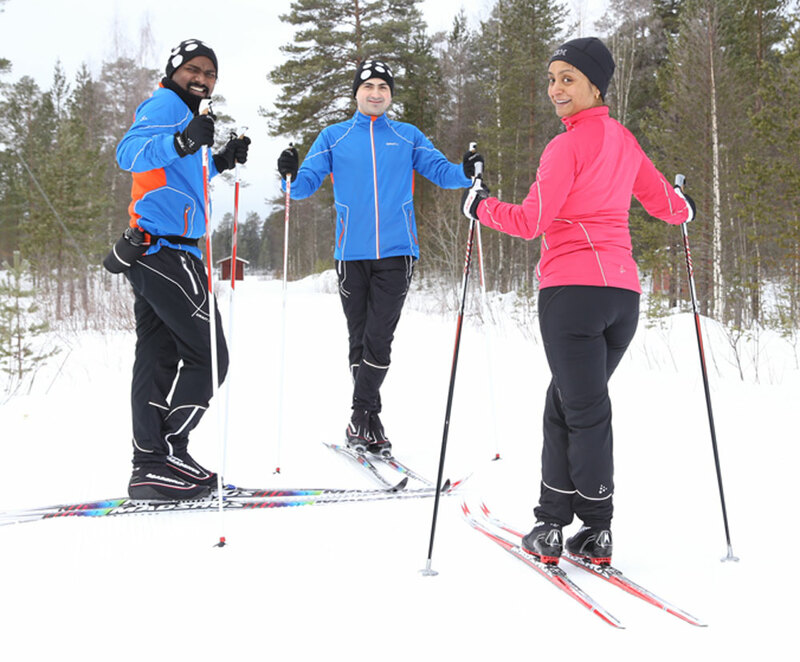 This opened up a whole new range of possibilities, and we started practicing regularly on the ski tracks in and around Stockholm, with our favourite one being the one at Arninge, Täby Konstsnöspår. 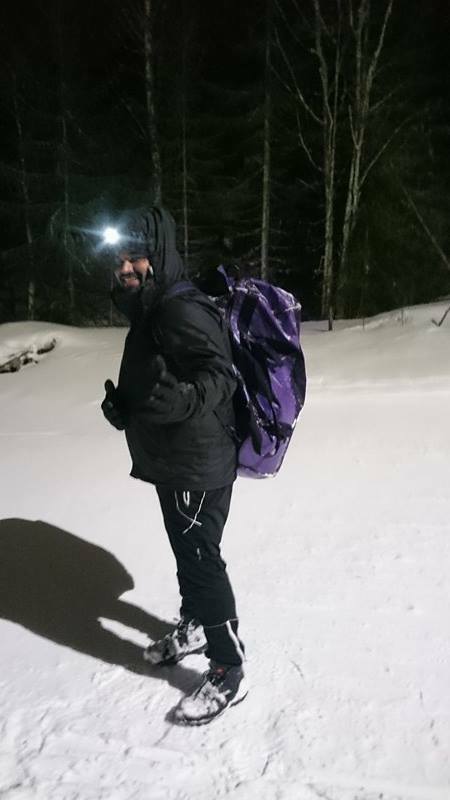 Here I got the chance to experience skiing for the first time in -12C weather and also night-time skiing ! I quickly discovered that I have a lot of room to grow in regards to technique, but with constant practice I feel I’m making progress and the Stafettvasan goal is slowly getting within reach. No longer am I taking the slow lane or getting out of the way of faster skiers, now I am almost able to stand side by side with most of them. Our next event is the Långberget skiing camp, where I’ll be able to practice to my heart’s content for a full four days. I plan on testing the limits of my endurance since this is the best opportunity and location to simulate the experience during the real race. Overall I’m feeling really excited for this camp since it feels like one major milestone that I have reached after months of practice. I can’t wait to write a follow up of my experience there once I return. I now have full confidence our team will be ready for the race day and hope you’re all enjoying our journey as much as we are. How often does one get into a completely unknown, unimaginable and – if I may say – somewhat scary journey? Well, at least for me, not very often! And that’s probably why I very vividly remember the day and the moment I decided to sign up for IBM’s Diversity Team for the Stafettvasan! Having lived most of my life in India, I had never seen anyone ski and had no idea what the road ahead would be like. But something told me it would be an experience worth cherishing! 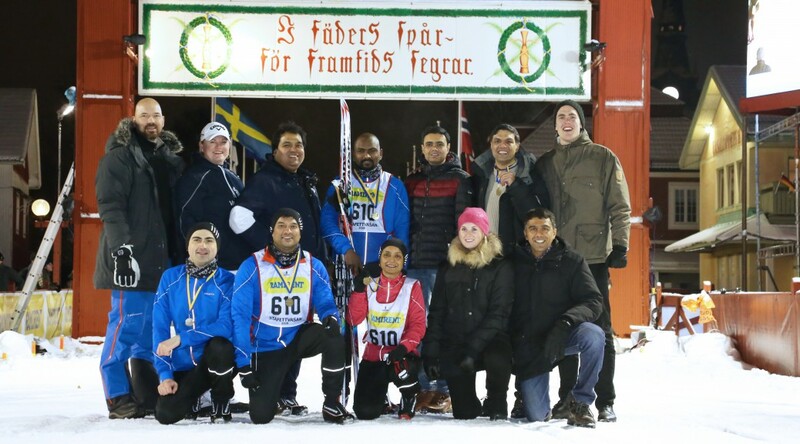 The idea was to train a group of IBMers who had never skied before and have them participate in the Stafettvasan ski race as the IBM Diversity Team. Although I had never skied before, here I was signing up to participate in one of the most coveted and challenging skiing races in the world! Was I really doing this? Days went by and we began with the workouts which were pretty demanding but the team spirit and encouragement from fellow team members kept me going. I soon realized that this journey was not just as unknown and exciting for me and my fellow teammates but also for Bente who had been amazing enough to take up this initiative! Before I knew it, we were leaving for Göteborg where we would be skiing for the first time ever! As I was sitting in the train with my teammates (who by now were close friends) traveling to Göteborg, I was filled with a sense of inexpressible excitement, fear and disbelief. Upon reaching there, we began to learn the basics of skiing. For me the basics included being able to distinguish between a pole and a ski! Here I am now a month later, no longer afraid of the cold or of falling in the snow! Enjoying every moment I spend skiing – which includes skiing at -160 C! (It was only a few months back that I considered anything under 100 C as extreme winter!) No longer shy to glide into the skiing lanes where professionals are skiing at 5 times my speed. I am loving every moment of it and building a memory I’m sure I’ll cherish forever. With the race just a couple of months away, it can only get more exciting from here!! Every once in a while, we dare ourselves to do something outlandish and crazy. Something triggers deep within and we go along with it. My venture into skiing, cross country skiing, is one such dare. Big dare, I might add. It involves learning to ski, falling, extreme cold, injuries and finally skiing against the best. But what the heck!! After experiencing life and its vagaries for almost 4 decades, I am having the best time training myself for Stafettvasan. 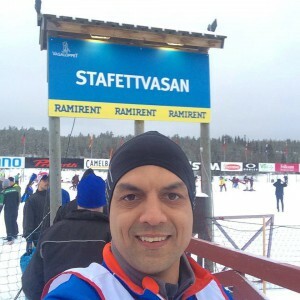 Stafettvasan is a cross country skiing team event held at Vasaloppet. 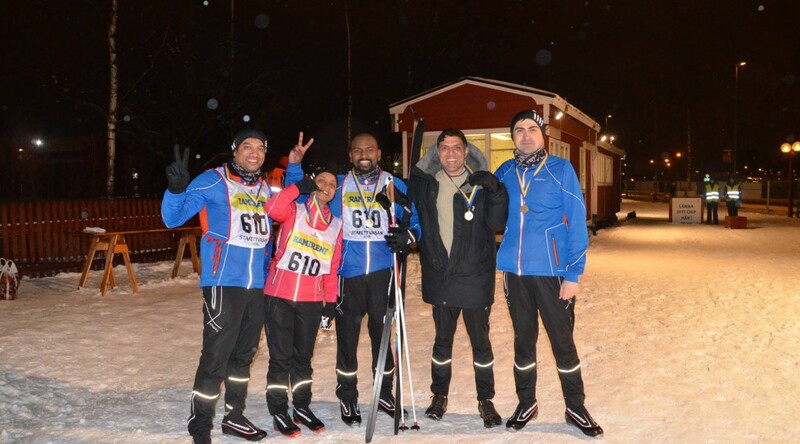 Vasaloppet is an annual cross country marathon event held in Sweden. As I understand, the Vasaloppet races is like a skiing cult in the Nordics. Its as much a test of your true grit and endurance as much as your skiing prowess. And I am training to be in it. Yippee!! Someone in IBM had this sparkling idea to have a ski team for Stafettvasan composed of IBMers from countries with little or no skiing culture, people with no skiing experience. In came Bente, easily among the most amazing people I know. We got skiing equipment, trainings and more trainings. All co-ordinated like magic by Bente. She is a bundle, big bundle at that, of energy. She is also chief ski coach. A complete package, I say. Together we are called the IBM Diversity Race team!! And we are on our way to Vasaloppet. Together we have the best time, skiing at -12C, we fall and we rise up again, we travel, we discover, we experience. I learn more about myself and my team. And of course we all learn to ski, to be in Stafettvasan.